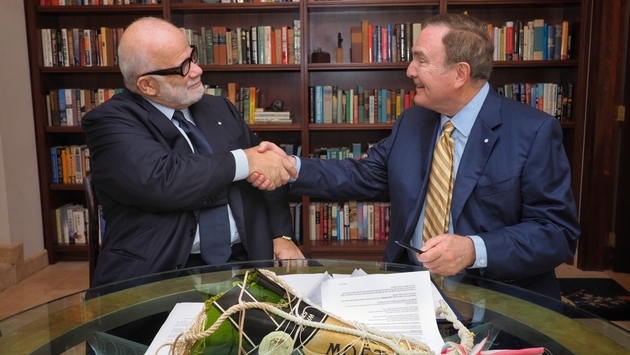 Royal Caribbean Cruises Ltd. and Silversea Cruises Chairman Manfredi Lefebvre D’Ovidio on June 14 announced an agreement for RCL to acquire a stake in privately-owned Silversea Cruises. Under the agreement, RCL will acquire a 66.7 percent equity stake in Silversea worth about $1 billion. RCL plans to finance the purchase through debt. The closing is expected to be completed later in the year, subject to customary closing conditions and regulatory approvals. Lefebvre will remain executive chairman of Silversea, Fain said, calling him “a visionary leader whose high standards and history of innovation we deeply respect.” They confirmed that Silversea CEO Roberto Martinoli will continue in his role, working with the existing Silversea management team. • Realizing significant synergies related to global market access, supply chain, purchasing power and other economies of scale. Silversea, with its intimate, all-suite ships, cruise offerings sailing to more than 1,000 global destinations, and unique luxury expedition vessels, adds a pioneering ultra-luxury brand to the RCL’s brand line-up. RCL’s largest brand, Royal Caribbean International, is a contemporary brand focused on adventure-seeking families. Celebrity Cruises is a premium brand providing a modern luxury experience to discerning global travelers, and Azamara Club Cruises is a destination immersive brand offering luxury voyages to unique ports. The company also operates the regional TUI Cruises and Pullmantur brands as part of long-term joint ventures. Operationally, the company’s forecast for the third and fourth quarters has remained unchanged but increases in the market price of fuel and the strength of the dollar are expected to cost the company roughly 25 cents per share. But strong close-in demand for core products and better-than-expected performance below the line is expected to drive improved results for the second quarter. These improved results are expected to offset the impact in the second half of the year, which allows the company to maintain its guidance for 2018.